A drone is an electronic UAV (unmanned aerial vehicle) that is controlled remotely. The most common type of consumer drone is the quadcopter. Quadcopters feature four propellers to provide lift. Two propellers spin in one direction while the other two propellers spin in the opposite direction. This provides a very balanced drone that is easier to fly and control. Drones are not limited to just having four rotors, multirotor options are available with an even greater number of propellers. The use of the word drone has recently expanded beyond RC aerial drones. The word drone can also refer to an unmanned underwater vehicle. The laws, regulations and restrictions that cover drones vary by country. Some countries require you to register your drone with aviation authorities. There are also concerns with privacy if using a drone camera. You must check the laws and restrictions in your country before operating your device. What can you use a drone for? Basic models can be used for recreational fun and can even be operated by children. Top end models can be used by hobbyists and beyond for professional aerial or underwater photography and cinematography. Some drones have been specifically designed for racing. Drones are a very popular way of taking aerial photographs and filming. Some drones enable you to mount a camera, but increasingly, more drones have inbuilt cameras. Some drone cameras feature gimbal systems that provide image stabilisation. The quality of the camera and footage varies by model.  Drones are remote controlled (RC), which gives you a great deal of freedom with where you can use the drone. However, there is a limit to the distance and altitude that the drone can travel from you.  The flight time can vary dramatically between models which affects the amount of time that you can fly the drone for between charges. Top end models typically last no longer than 30 minutes on one full charge. The charging time can also be lengthy. What do I need to fly a drone? 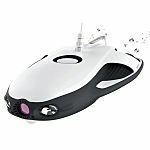 Although this varies by model, RC drones are typically operated from either a remote controller or from an app or software that is installed on a smartphone or tablet. Some drones are plug and play, and you can use them immediately out of the box.